We now have a simple solution to the annoying problem of having to hunt down a power adapter when you just want to charge a gadget. 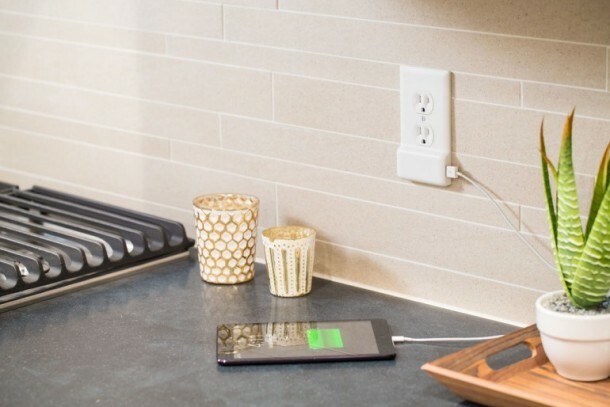 It’s called the SnapPower Charger cover that can be installed on any outlet, and adds a USB port for charging your electronics. 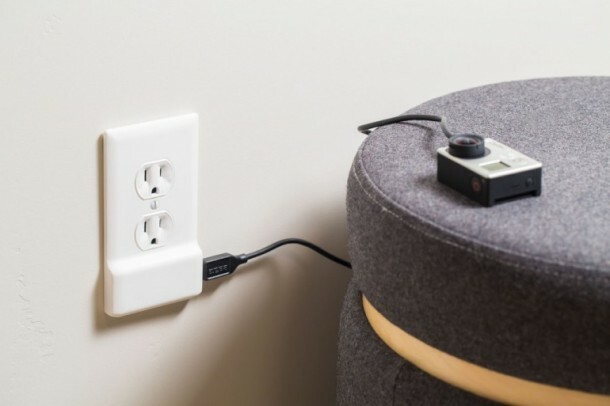 The SnapPower Charger is simply a replacement cover plate featuring a pair of metal prongs that reach around an existing outlet and make contact with the screws holding its electrical wiring in place. Once the cover plate is snapped on and screwed into place so it’s secure, the USB port instantly gets powered. The outlet cover will be a 1 amp power charger built into an outlet. It can charge any USB device, such as phones, tablets, iPads, and eliminates the need for bulky wires. It’s incredibly easy to install, there’s no wire mess to deal with, and no batteries. The project is currently seeking funding on Kickstarter. Pre-orders cost $16. They are even cheaper if you buy them in multi-packs, and available in three different colors and two different styles. If everything goes as planned, you could be replacing every outlet cover plate in your home as soon as August this year.